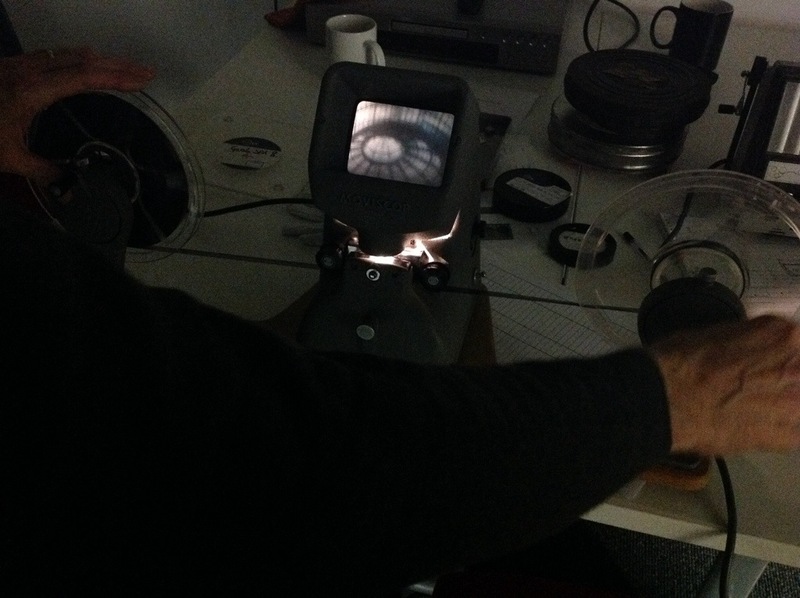 Over the last 6 months Past Lives team have been working intensively with Mansfield local community and Mansfield Museum to digitise local cine film, photos and gather oral history. 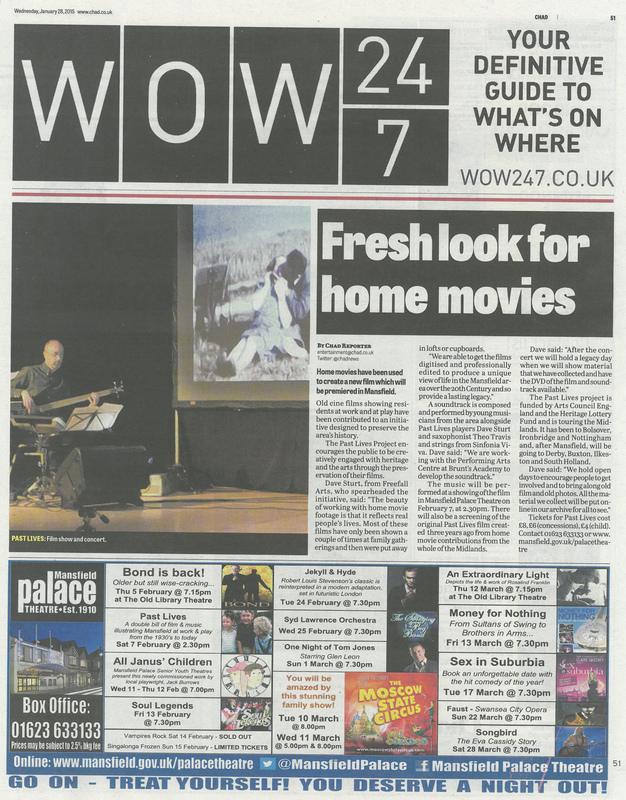 The cine film has been edited to create a new film of the town, and will be shown with live music from local young musicians who have been working with international musicians. 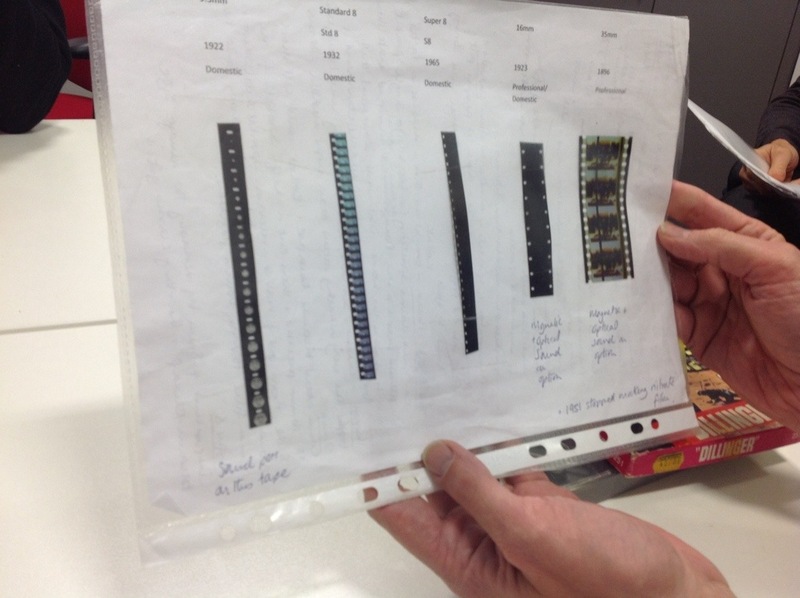 Photos digitised though the project will be shown on the day too. 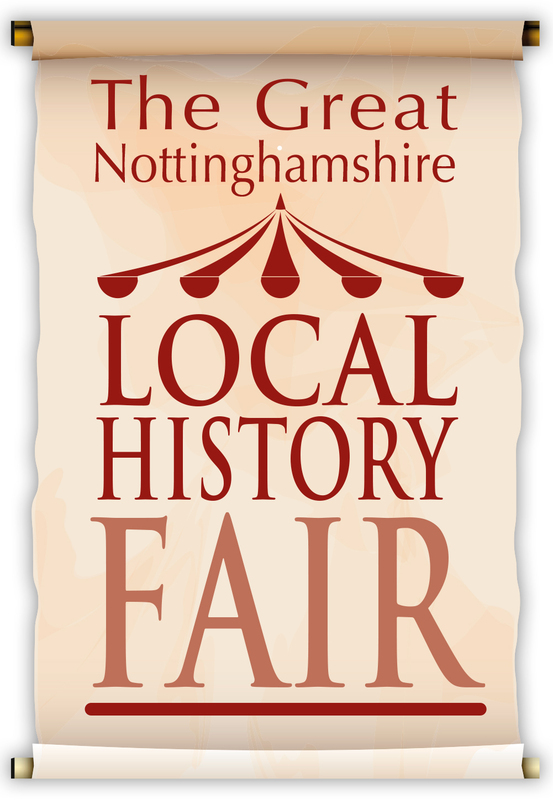 Recently we held a stall at the ‘Great Nottinghamshire Local History Fair’, we had a great day out and it was a wonderful opportunity to meet history groups from Mansfield and Nottingham, particularly as we’ll be bringing Past Lives Project to both of those regions in the next year. 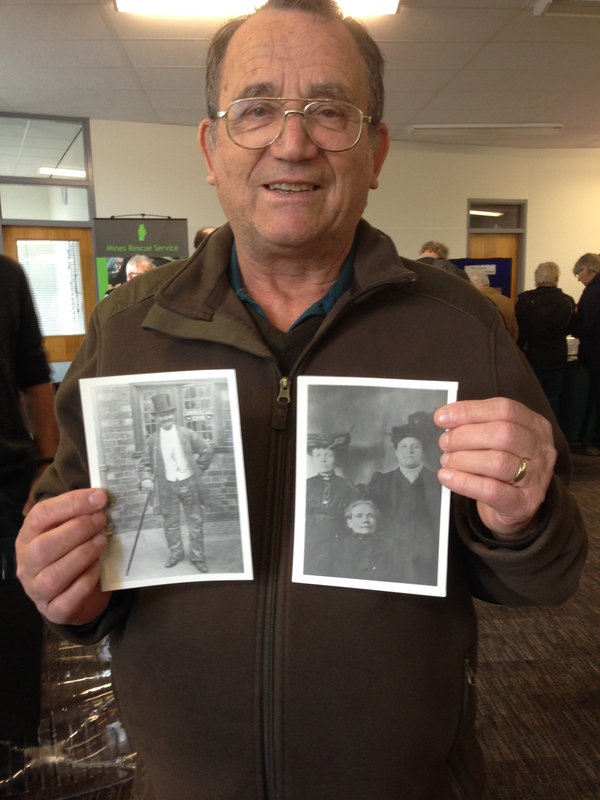 The photo was most likely taken at the Station Hotel at Cresswell, and the gentleman’s name is Lewis Shinfield. 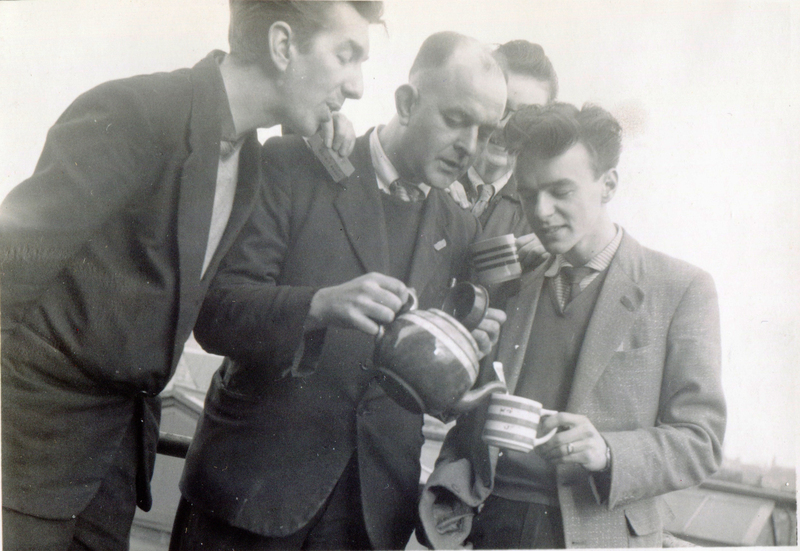 He worked as a shaft sinker in Cresswell Pit and referred to himself as a ‘German’ and that his original family name was Schoenfeld. 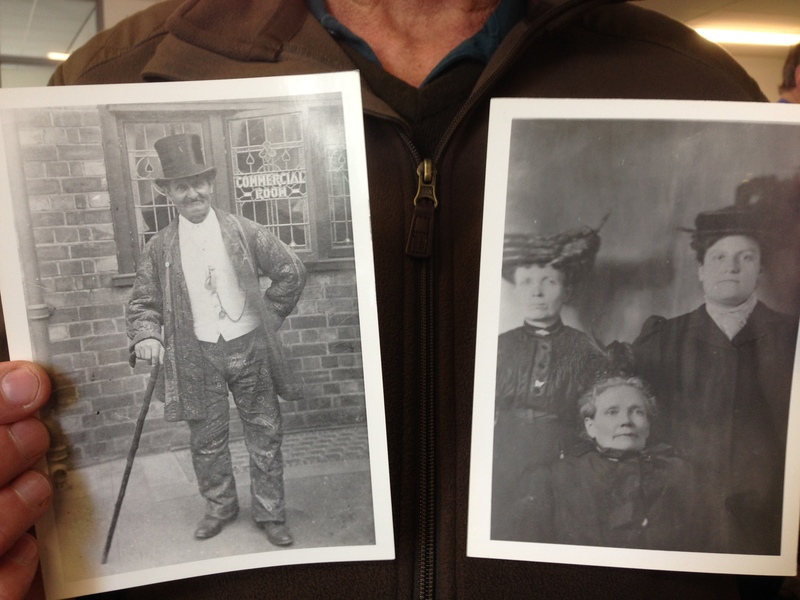 The second photo is of Lewis Shinfield’s wife in the middle and his sister and daughter. 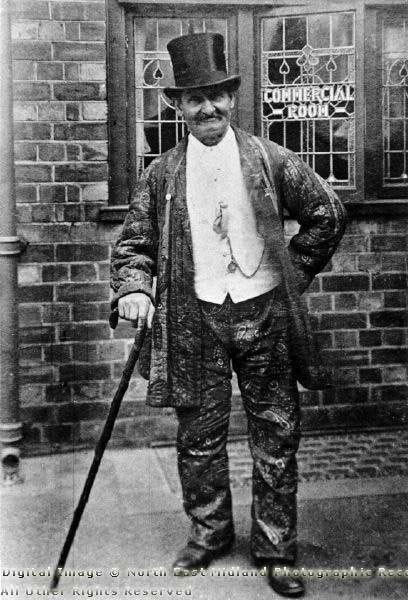 Photo was taken in 1898 and Lewis died in 1912. 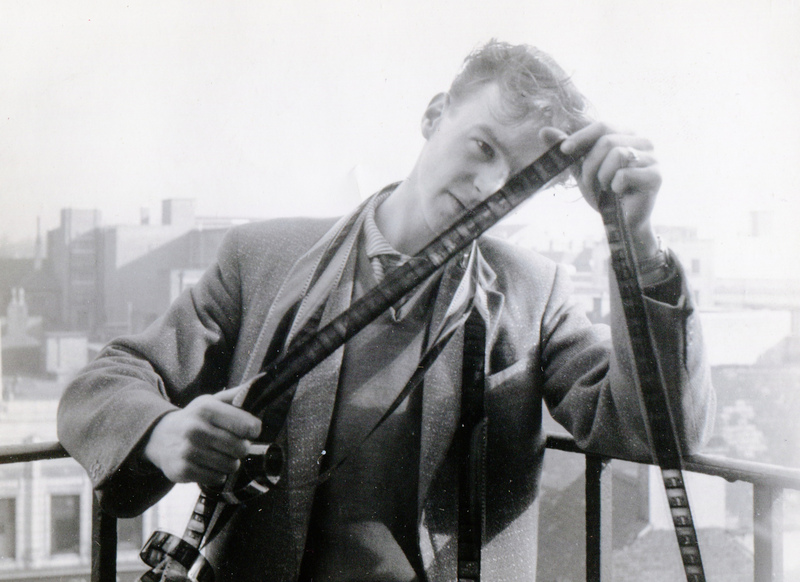 One of the many great things of Past Lives Project are these personal stories that come along with the photos and film, and it’s wonderful to be able to add more provenance to archives. 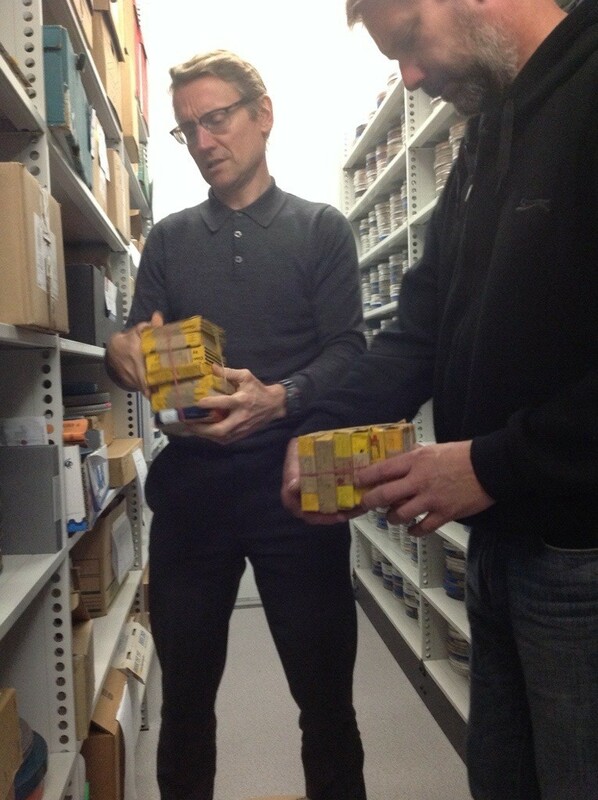 We’ve forwarded the information to Picture The Past and they will be able to update their archive shortly. 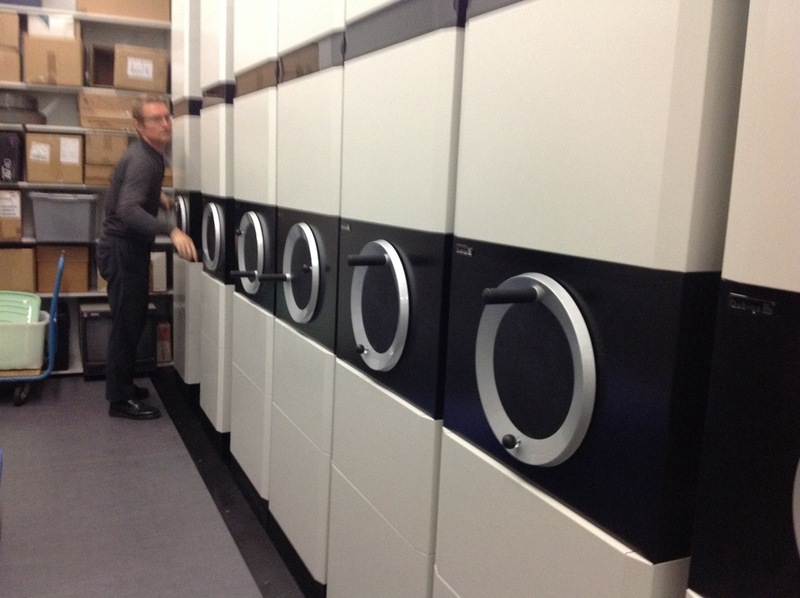 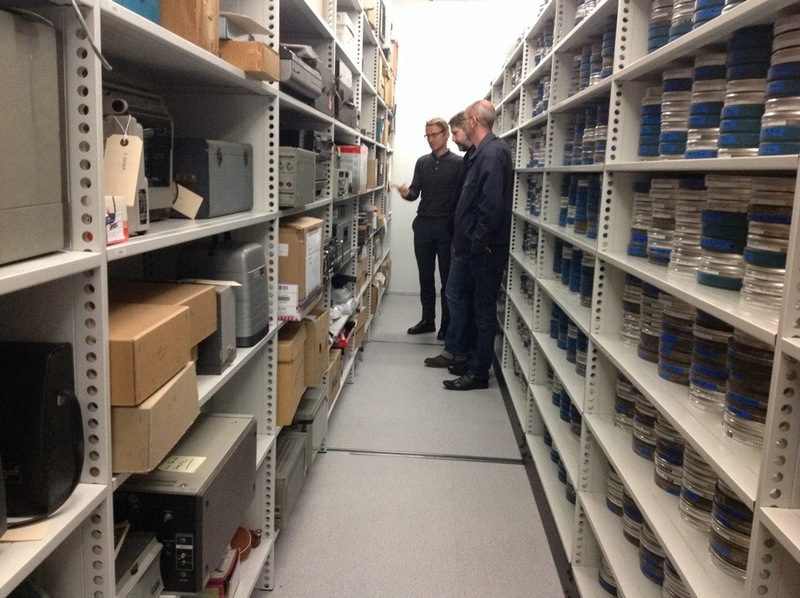 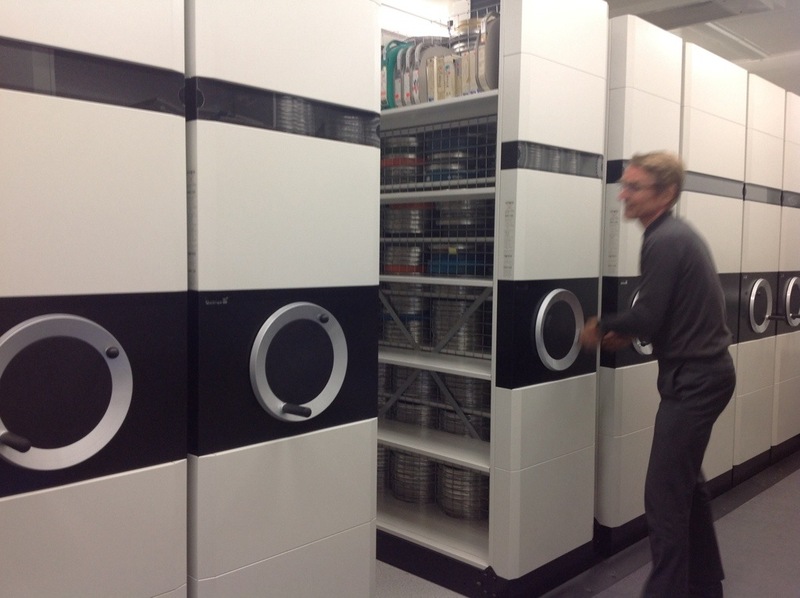 The Past Lives Project team recently went on an archive film training day at the Media Archive for Central England, Richard Shenton (opening the shelves so quickly he’s blurred), head of access and learning at MACE took us on a very cold tour of the film stored in temperature controlled conditions. 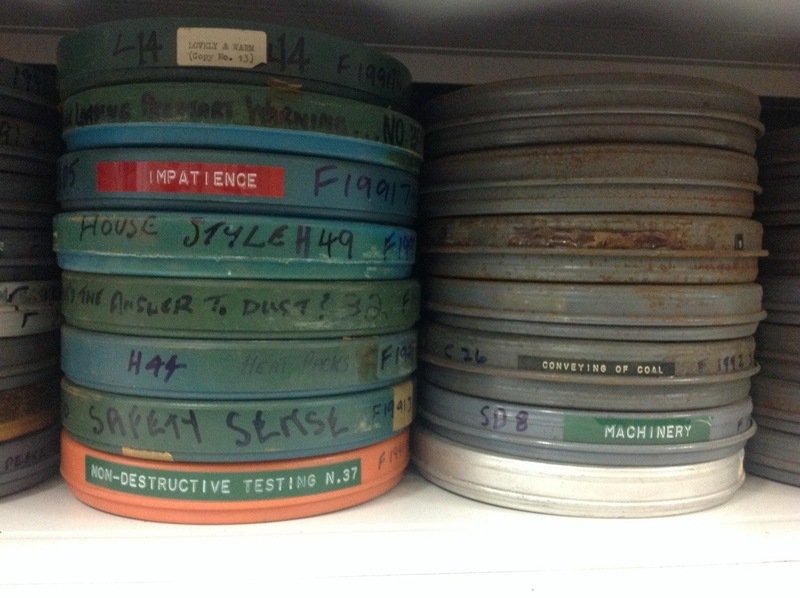 One of the reasons our project has received funding from HLF & ACE is due to the rapid deterioration rate of film footage and the urgent need to do something about this; If film footage is stored in cupboards, lofts, under beds; places where temperature and more importantly humidity fluctuates the footage will be rapidly deteriorating and needs digitising and preserving straight away before the footage becomes so damaged that it will be unable to be saved or viewed. 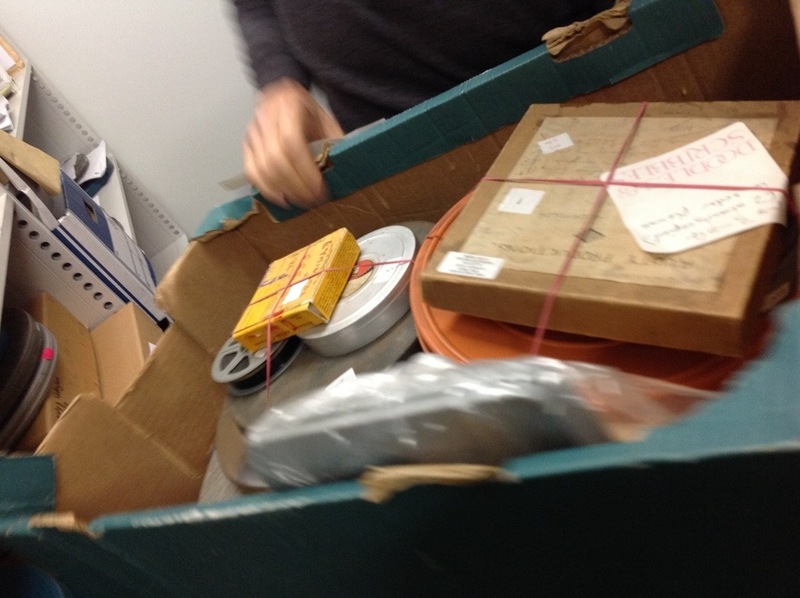 Donated footage often comes in boxes with other bits of ephemera, things we might expect to also find with the footage will be notes, audio reels, photos etc. 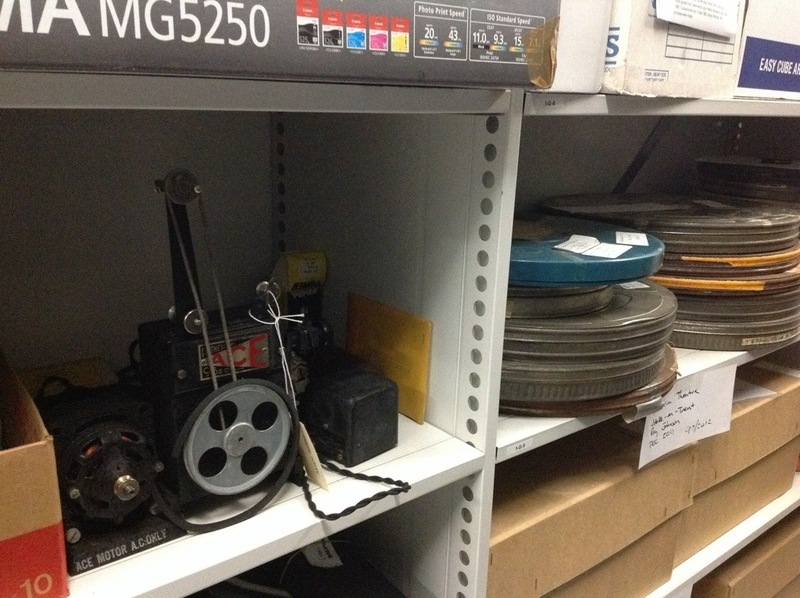 These items are not in MACE’s remit as they deal with footage alone, but for the Past Lives Project other ephemera will be perfect! 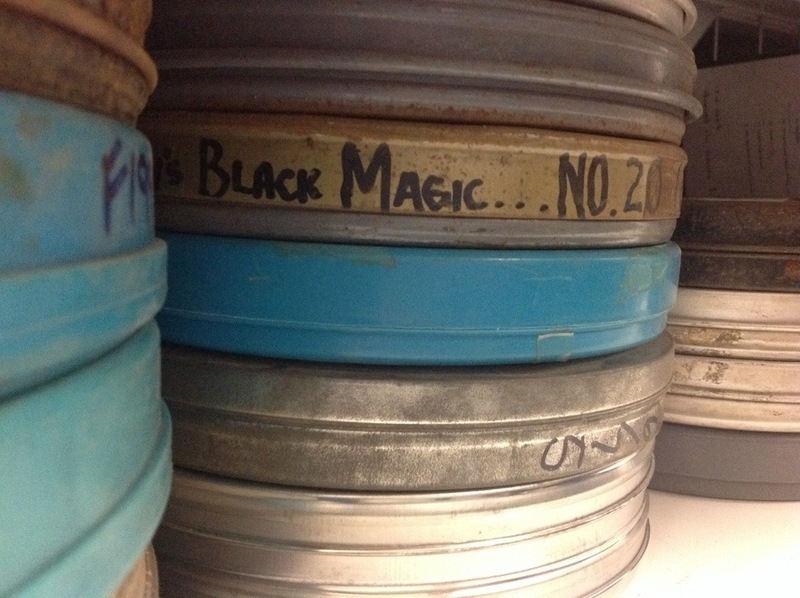 More shelves of film and ephemera to explore! 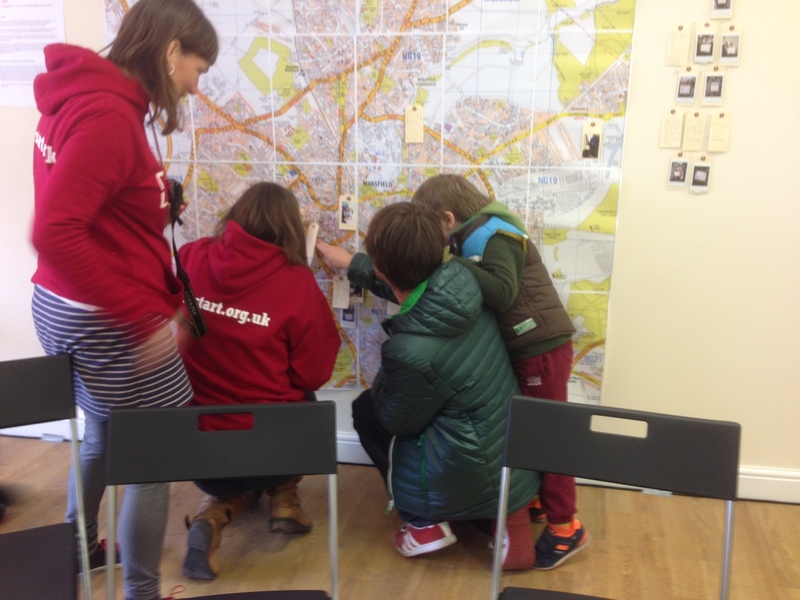 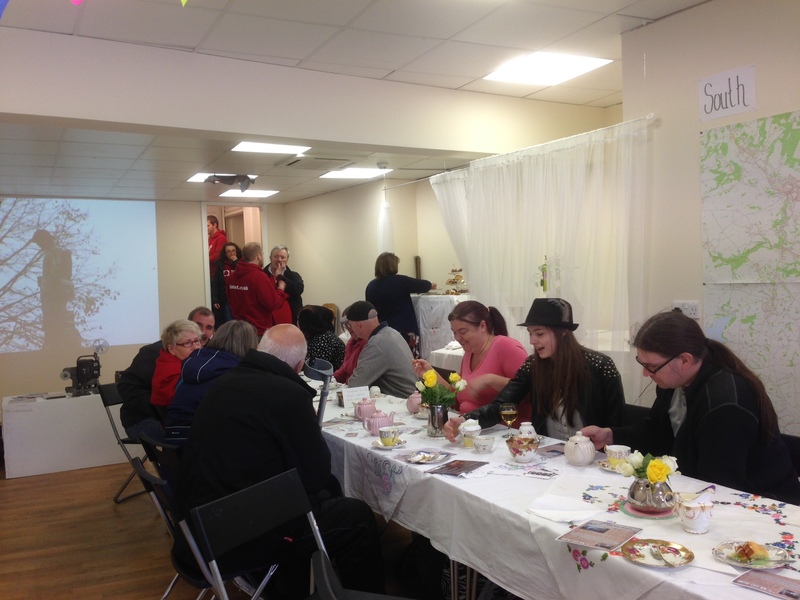 The Past Lives project toured the Midlands in 2012, and depending on funding will be touring the Midlands in 2014 & 15 as a participatory and community local history, music and film project. 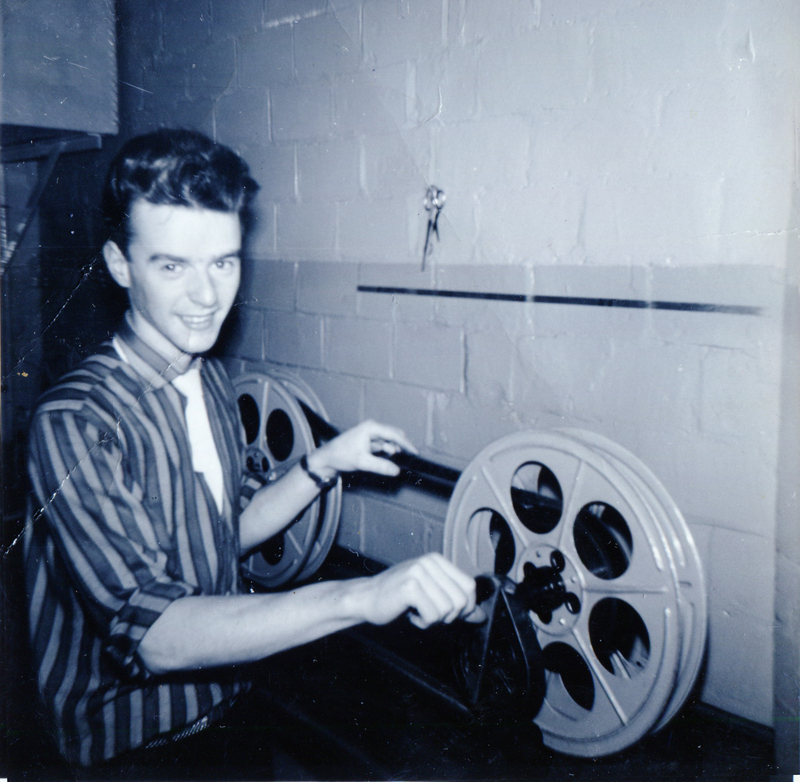 There will be a series of film & music workshops in each locality to enable participants to digitise and edit antique footage to create new films and learn about editing film and writing and performing music with film. 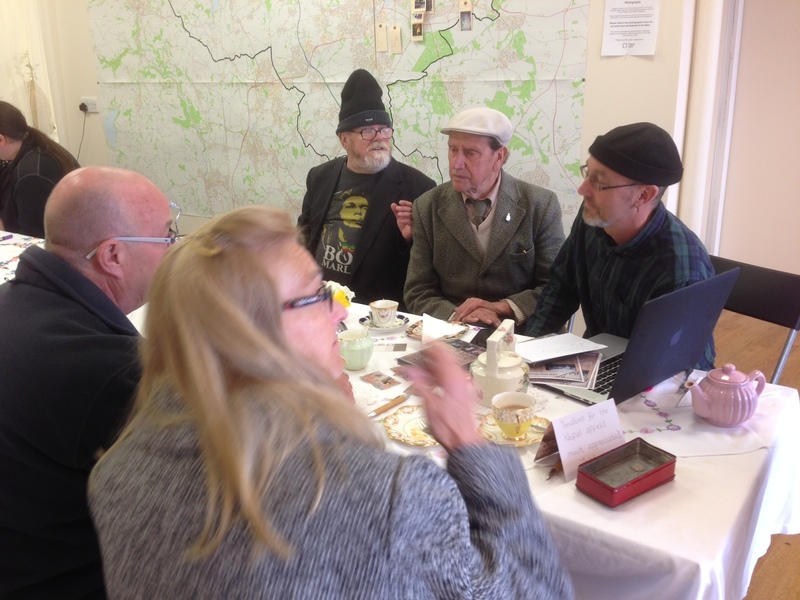 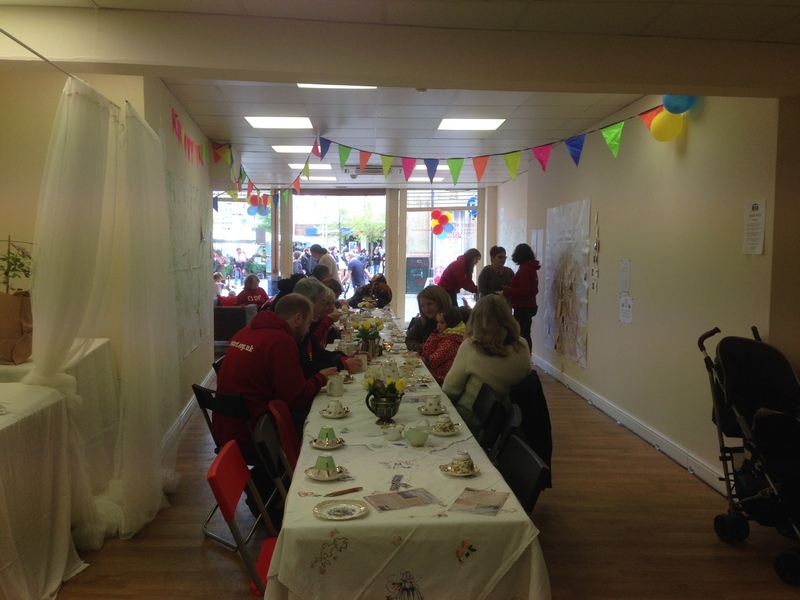 Look out for project open days and reminiscence cafes across the Midlands in 2014 & 2015.